Wire netting is a cheap and effective method of securing acoustic mineral wool between the joists of separating floors to hold it in place and to comply with fire regulations if required. 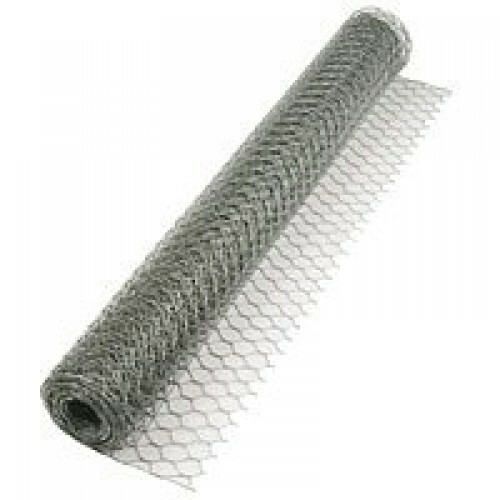 It is the type of netting we are all familiar with and has 50mm sized hexagonal holes that will not reduce the sound absorbing effectiveness of the mineral wool. If a floor is being upgraded and it is not possible to carry out any work on the ceiling yet 1 hour fire resistance is required, the mesh can be fixed to the sides of the joists and the acoustic mineral wool will then sit on top of it. The combination of the secured mineral wool and the existing ceiling is usually accepted by Building Control as being in compliance with the required fire resistance of a separating floor between flats. Wire netting is also useful to secure mineral wool if it is being inserted from below. It is important that to get the best results, acoustic mineral wool must be a loose fit between the joists which means it will easily fall out until the ceiling is installed. By fixing wire netting to the underside of the joists, the mineral wool can be inserted on top of the mesh in stages until the entire ceiling has been treated.